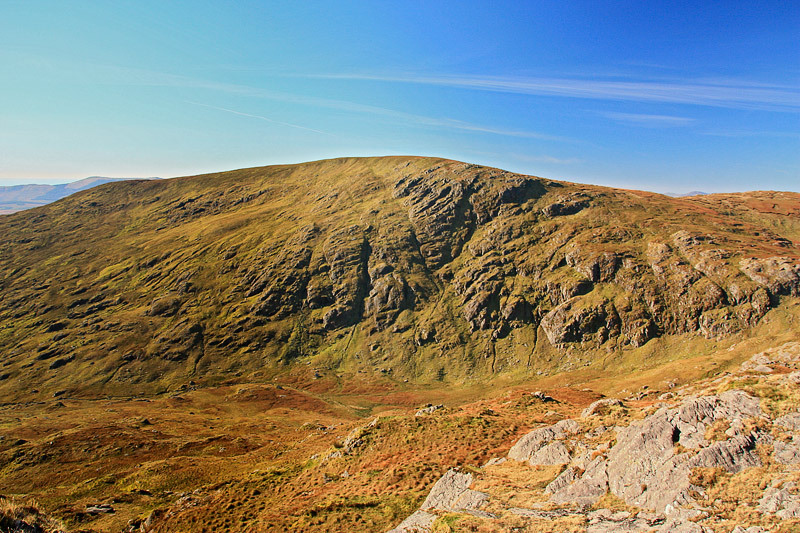 Picture from group : Maulin as viewed from the East. Picture: Maulin as viewed from the East. Flattish top with views to bays north and south. Leave the car at Rosmackowen Church V74200 47209 A and head up the little borheen immediately after the Church on the Castletownbere side. Take the left hand fork after a few hundred meters and continue on through a gate following a rough track to the Glas Loughs at about 400 meters elevation. The face of Knocknagree that looks out over Beara Island is the best approach to take with the least amount of climbing around the rocky folds typical of the area.